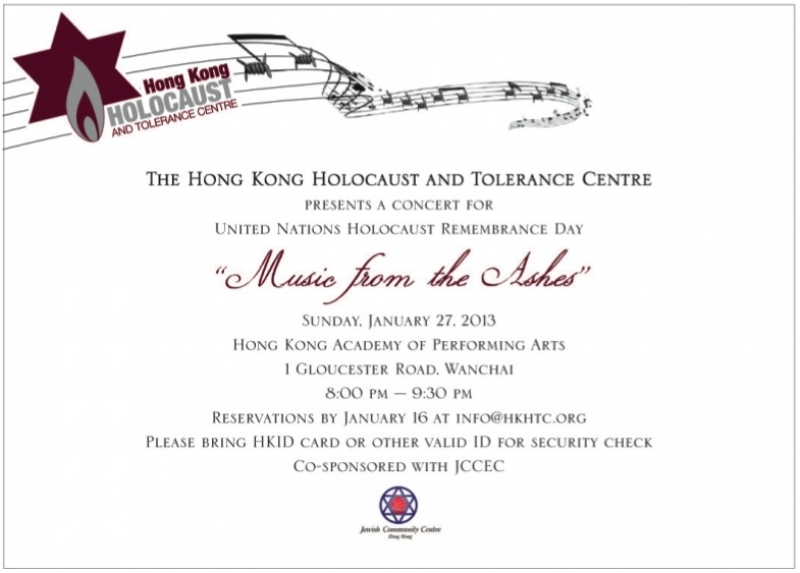 To commemorate the United Nations Holocaust Memorial Day the HKHTC held a memorial concert titled “Music from the Ashes” at the Hong Kong Academy of Performing Arts. The concert featured musicians from Hong Kong, the United States and Israel who played music composed by eminent Jewish composers who perished in Nazi concentration and death camps. The leading musician was by the Professor Allan Sternfield of the Jerusalem Academy of Music and Dance. Over 400 people attended the concert, including Consul Generals, local dignitaries as well as a diverse cross selection of the Hong Kong public.